The Sweet Little Words quilt is in the new McCall’s Quilting March/April ’13 issue! Need an awesome way to declare your love to your valentines this year? These Sweet Little Words speak for themselves! 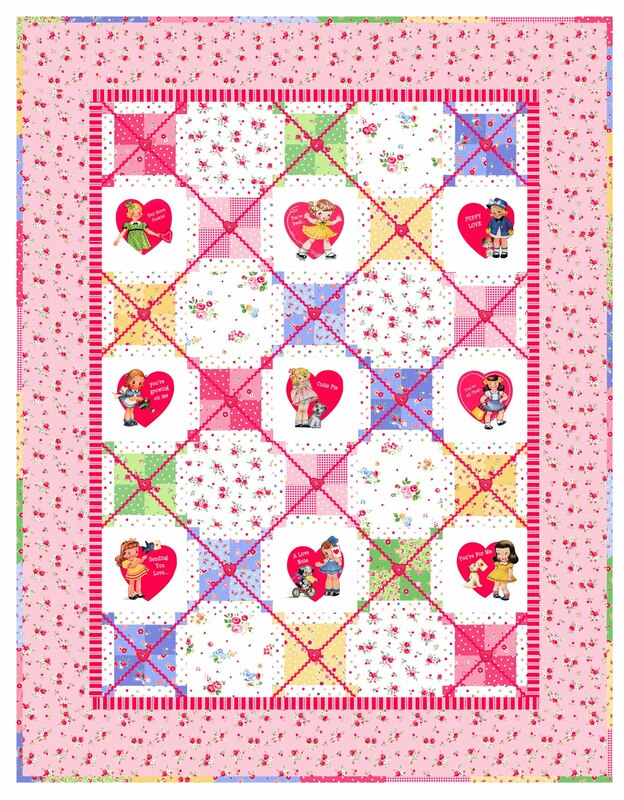 Designed by Holly Holderman of LakeHouse Dry Goods, this quilt uses the vintage valentine panel from Pam Kitty Love, sprinkled with colorful four patches and bordered in a sweet bold stripe and tiny flowers. And of course it would not be complete without the adorable rick rack and heart buttons. You won't want to miss this heartfelt quilt kit! 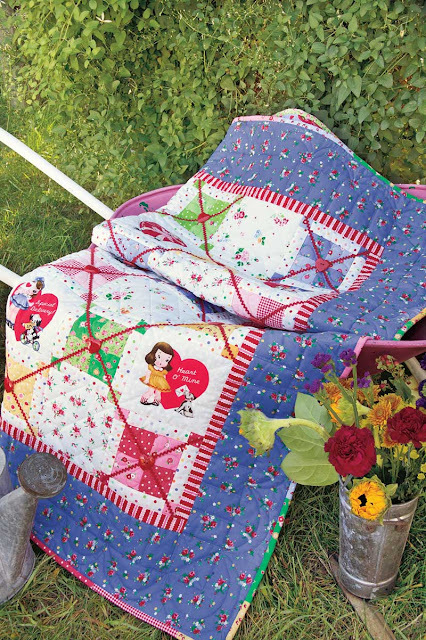 If blue doesn’t express your love so much as pink, we also have pink bordered quilt kits available! Are you smitten by pink or blue? Whichever you choose, snuggle up with your sweetheart under the Sweet Little Words quilt! Read more about the Sweet Little Words Kit on Holly's blog!